What size should my image be? Your image must be 1200px on the longest side. How do I enter? Make sure you are following the current contest theme first and when you have sized and named your image properly you can submit your entry via email to contest(at)lightpaintingphotography.com. In the subject line type in the month of the contest (For example “August LPP Contest Entry”. Can I photoshop my image? Nope. Digitally enhanced images that have been altered beyond the basics of cropping, burning and dodging, or a slight levels/color adjustment will NOT be accepted. If the image is layered in post or if you have digitally added or removed anything, please don’t submit it. 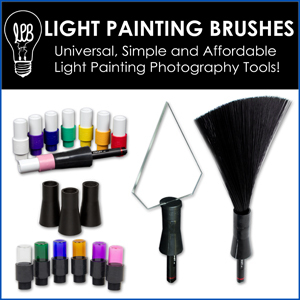 You cannot use any post production software of any kind to create any of your light designs! If there is any question you may be asked to prove how you created your image. How many images can I enter? ONE and ONLY ONE for each contest. If you do not follow all the submission guidelines your image will not be accepted. How do I win? You win by submitting your image, then the LPP family of readers picks the top 3 by commenting their favorite images in the comment section of the website when all the entries are posted. Then the 3 images with the most reader votes goes to a panel of 3 judges that makes the final selection, there is one prize pack winner per contest. What does the winner get? A light painting photography prize pack filled with gear from the contest sponsors and free shipping anywhere in the world! The winner of the monthly contest will also receive front-page coverage on LightPaintingPhotography.com, bragging rights, and they will get to judge the following months competition. Who are the judges? You are for the first part! The images will be posted around the 23rd of the month and the LightPaintingPhotography.com family will be asked to select their top 3 picks of the submissions. Once the LPP family picks the top 3 entries, a panel of 3 judges that include the winner of the previous months competition and light painting photography featured artists will make the winning selection. How is the contest judged? The contest will be judged on the 3 C’s, Composition, Creativity, and Complexity. All three will be on a scale of 1-10, 10 being the best. 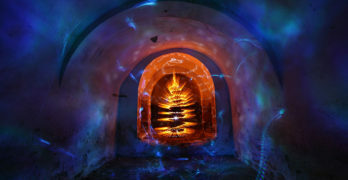 The light painting image with the highest score wins.